Find out what we do, our vision, our mission and who the people are who make it all work. 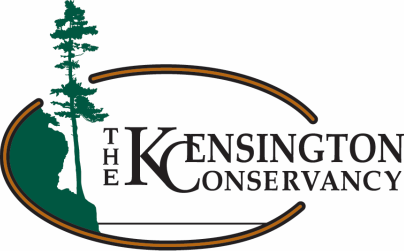 The Kensington Conservancy is a land trust that works to protect lands and waters by purchasing property, accepting donations of land and through voluntary conservation agreements. These protection methods are all aimed at protecting our precious landscape in perpetuity. The Kensington Conservancy also believes that conservation and preservation can also be achieved through the good stewardship practices of all property owners. We work with local landowners, farmers, governments, schools and other organizations to develop programs that will promote greener and less intensive development, best land and water management practices, invasive species control and low impact recreational activities. Our membership includes residents of Canada and the United States who represent various interests including permanent and seasonal residents, government, business and the scientific and academic communities. As one of North America’s few bi-national land trusts, the Kensington Conservancy is a registered charity in both Canada and the United States. The conservancy received Canadian charitable status in 2006, making 2016 our tenth year of operation. The Kensington Conservancy will work to inspire all members of the North Channel community to embrace positive conservation values that will promote the protection and preservation of natural ecosystems for all generations. The mission of The Kensington Conservancy is the establishment, development, maintenance and management of nature reserves and programs in the St. Joseph Channel for the conservation and preservation of the natural ecosystems. The Kensington Conservancy is a member of the Ontario Land Trust Alliance. The Ontario Land Trust Alliance is a registered charity that strengthens land conservation in Ontario by building and supporting a strong land trust movement. They help Ontario’s land trusts achieve lasting conservation results. The need for standards and practices, for all land trusts, regardless of where they operate is imperative. Developing strong land trust communities depends on the long-term viability and management of all land trusts. By working towards a consistent set of standards and practices, land trusts will continue to thrive and be successful in perpetuity. The Kensington Conservancy has adopted the Canadian Land Trust Alliance Standards and Practices as their guiding principles for the organization’s operations and commits to making continual progress towards implementation of all of these standards and practices. For further information on these standards, click here. The Kensington Conservancy Board of Directors boasts a broad cross section of the local community. It has citizens from Canada and from the United States, permanent and summer residents, those with long family histories and those with new experiences in this vibrant community. Everyone comes to the table with a genuine love of land and water and a wish for future generations to enjoy the same treasurers. Listed below are the members of the board of directors.